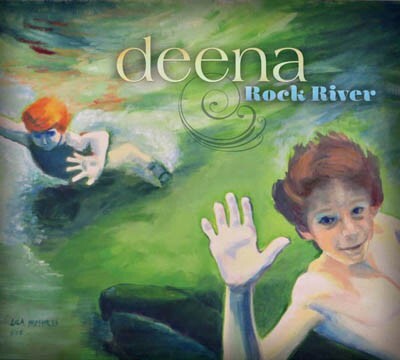 Rock River is the latest album by Deena and even though it came out in March, I could not think of a better album for winding down this part of summer. 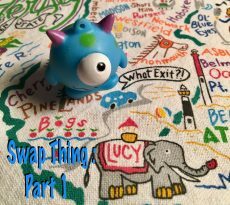 A mixture of folk, indie and alt-country, one play of the record will leave you smiling the rest of the day. Deena has a voice is both sweet, friendly and alluring and works to great effect. At times whimsical, melancholy, tongue-in-cheek there is a lot of emotion here. If I had to pick one defining word for it, I would say the album is joy. Deena is Deena Shoshkes, who with her husband Jon Fried, co-founded the 80s band The Cucumbers, part of the Hoboken scene and known for their big hit “My Boyfriend.” Fried is on many of the tracks here and it is a testament to their years together that the album sounds so cohesive. Produced by Rob Friedman, who also plays many instruments here, the new album opens with “My Own Advice,” a rollicking, uptempo song with great guitar that gives a taste of what is to come. “Find the Love” is a sultry little number that lets Deena flirt a bit with the listener. Heartbreak is addressed in the sad yet beautiful “I Will Never Be Your Valentine” where the singer realizes the object of her attention will not reciprocate her love yet she will still sing him a song. The playfulness of “My Friend Superman” is a humorous take on the superhero coming home to his wife and having dinner with his in-laws. “But do you know how long those dinners last?” asks the Man of Steel. The song is buoyed by a great horn section. It’s a winner. Pedal steel guitar from Jonathan Gregg adds a wistful air to “Always Tomorrow” where the character’s “dreams went south long ago.” If “Heart Full of Love” doesn’t get you moving and singing along you may want to check yourself for a pulse. The album closes with the gorgeous “When I Fall” and despite its somber lyrics one can’t help but feel the singer will find her way soon. Rock River is a wonderful record and I can’t recommend it enough. Deena graciously answered some questions for us below. Was it as fun to record Rock River as it sounds on the album? Writing and recording music is what I do for fun, so, yes! Can you tell us a little about your songwriting method this time out? Did you have the lyrics ready to go and then came up with the music? Or was there some improvisation while recording? I like to write in many different ways, and entertain all possibilities. Some of the songs came out whole, in a quick tumble, while sitting and strumming the guitar (“My Own Advice,” “Mr. Nobody,” “I Will Never Be Your Valentine”), others began with recording experiments and the lyrics came out as I delved into the layers, improvising with myself (“Find The Love,” “All She Wrote”) Other songs began with lyrics sent to my by lyricist-writing friends. Sometimes I stayed very close to their original lyrics (“When I Fall,” “Always Tomorrow,” “We’ll Take It From There.”) other times I used their lyrics as a starting point and transformed them (“Bring It All,” “My Friend Superman”). Rock River is both a real river, clean and beautiful and fresh, that I’ve been swimming in since I was a young girl, and the river of musical influences I’ve been swimming in as well: folk, indie, country, new wave, pop, classic, oldies, girl group, southern, rockabilly, you name it, rock. It’s the place I find inspiration. 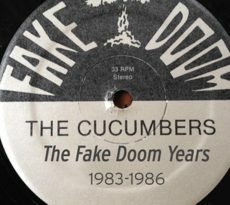 The Cucumbers were a prominent part of the Hoboken scene of the 1980s. Do you miss Hoboken? How do you feel about the current state of the city as a musical hub with the closing of Maxwell’s? I missed Hoboken terribly when I first left. When we moved I had a new baby and a toddler and stayed home with them. It was a heavenly family time for me, but I felt so cut off from the music scene that had nurtured me. We didn’t move far and kept performing there and collaborating with friends there, but it wasn’t the same as walking down Washington Street and bumping into your musician friends. Maxwell’s was a treasure and so meaningful to so many musicians and fans, alike. However, what’s present in Hoboken is still extraordinary. There’s a significant number of truly outstanding local musicians there including Gene Turonis, Karyn Kuhl, Alice Genese, Chris Butler, Kate Jacobs, James Mastro, to name a few. These people are top notch, treasures. Geri Fallo, Hoboken’s Commission of Cultural Affairs, arranges year round concerts and music festivals that are amazing. There is still a lot of music and great talent in Hoboken and I hope people will go and seek it out, and support original music in NJ. What do you love about New Jersey? 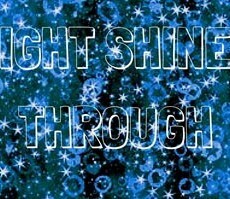 Five words to describe Rock River? You can pick up a copy of Rock River on iTunes here. This Week at the Farmers Market – Tromboncino Squash!